WASHINGTON, D.C., September 28, 2018 – America’s Warrior Partnership concluded its fifth annual Warrior Community Integration Symposium, a gathering of more than 550 representatives from veteran-serving organizations, nonprofits, corporate foundations and government agencies to share best practices and discuss key issues affecting veterans in their communities. The theme of this year’s event was “Connect. Educate. Advocate. Collaborate.” Renowned journalist and author Sebastian Junger emphasized the importance of these actions during a keynote address. He argued that a loss of close bonds among fellow service members is one of the greatest challenges that veterans encounter upon transitioning to civilian life. Communities that prioritize helping veterans re-establish close bonds with friends and neighbors will ultimately help veterans realize a better quality of life, which is a key component of the holistic reintegration approach championed by America’s Warrior Partnership. It is critical to find a good leader in the community who understands the unique needs and situations of local veterans. Whenever we, as service providers, go into a community, we need to put aside our egos, understand the big picture and how we fit into it. Once we all do this, we can work together to provide veterans with the services they have earned. 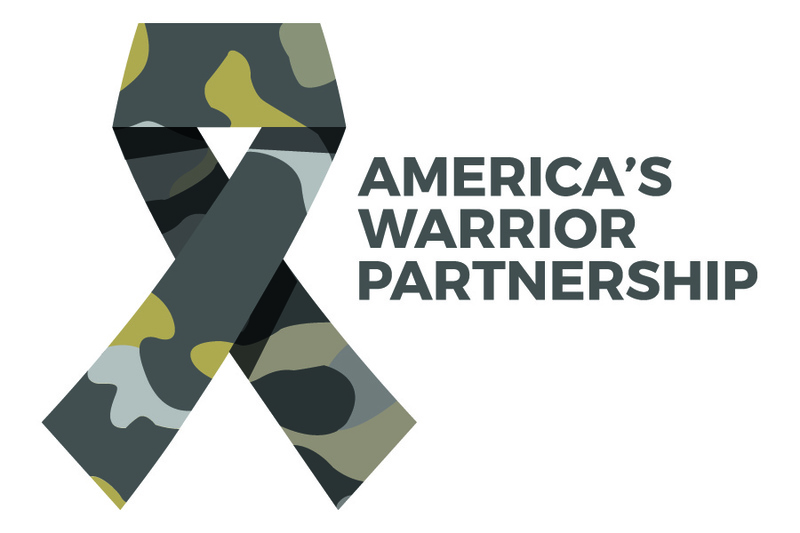 In the spirit of empowering communities to connect veterans with needed services, educate on available opportunities, advocate for needed resources, and collaborate to provide proactive and holistic support, America’s Warrior Partnership has released a summary of key takeaways from the Symposium. A major focus of the Symposium was connecting attendees with needed knowledge, resources and partners. A survey taken by attendees noted that 98 percent of respondents made a new connection or partnership that will help them better serve veterans. Dr. Lynda Davis, Chief Veterans Experience Officer of the U.S. Department of Veterans Affairs (VA), shared how the VA is contributing to this shared mission through the community-based efforts of the Veteran Experience Office, which is dedicated to better understanding what local organizations need to support the veterans they serve. Insights from VA officials were echoed in a breakout session titled “Community Town Hall: CVEB Task Force.” The session shared findings from the Community Veteran Engagement Boards (CVEB) initiative, a joint effort between national and local veteran-serving organizations that is developing a framework of measurements and benchmarks that service providers can leverage to improve veterans’ quality of life. America’s Warrior Partnership is an active participant in the initiative with its local affiliate communities providing input to complement the national leadership of the VA. More information about the CVEB initiative is available on the VA’s website. In a post-event survey, 92 percent of attendees reported they learned something that will help them support their service to veterans. These learnings focused on a range of topics, including veteran suicide, one of the most critical issues impacting military communities. A breakout session titled “The Critical Role of Community in Research on Veterans” provided an overview of Operation Deep Dive, a study currently in progress that is spearheaded by America’s Warrior Partnership with support from University of Alabama researchers and the Bristol-Myers Squibb Foundation. During the next four years, Operation Deep Dive will examine the individual, organizational and community risk factors that lead to suicide within veteran communities. The goal of the project is to help develop programs that will more effectively prevent and reduce self-harm among veterans. More information about Operation Deep Dive is available on the America’s Warrior Partnership website. Former U.S. Senator Elizabeth Dole, one of the country’s strongest advocates for veteran caregiver resources, was honored at the Symposium as she received the fourth annual Leo K. Thorsness Leadership Award. The award recognizes outstanding leadership in service to veterans. The Honorable Robert Wilkie, Secretary of the VA, discussed caregiver resources in a keynote address to attendees when he announced the launch of a new center dedicated to expanding the services available to assist veteran caregivers in communities across the nation. More information about the first National Center of Excellence for improving veteran and caregiver services is available on the Elizabeth Dole Foundation website. Every session throughout the Symposium touched on tools and opportunities to improve collaboration, such as through the America’s Warrior Partnership Network, a digital coordination center that links community organizations with expertise from across the nation, and the Four Star Alliance, a network of adaptive sports, therapeutic recreation and wellness organizations committed to serving veterans. Technology as a collaborative tool took center stage during a session demoing the capabilities of WarriorServeÒ, a secure information system that streamlines the collection and analysis of critical veteran information. The tool enables service providers to more efficiently share data with partnering organizations and ensure the veterans they support are receiving needed services. More information about the platform is available on the WarriorServeÒ website. For more information about America’s Warrior Partnership and the Warrior Community Integration Symposium, visit www.AmericasWarriorPartnership.org.